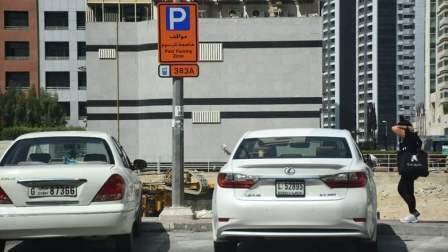 Waged parking signages have been built in Barsha Height (formerly Telcom) but the Roads and Transport Authority (RTA) has yet to settle when paid parking in the area will begin. The area has been reserved as an 'A' zone, meaning the parking fee is Dh4 per hour and controls are applicable from 8:00 am up to 10:00 pm from Saturday to Thursday apart from on official holidays. Barsha Heights, which structures residential and commercial buildings, including serviced apartments and hotels, is the latest area in the Emirate to instrument the parking charges.